Even if you don’t celebrate Christmas, I’m sure you can conjure up an image of what Christmas cookies are “supposed” to look like. And although there are many different kinds of Christmas cookies, I’m guessing this is not the image that comes to mind first. Believe it or not, these are, in fact, Christmas cookies. And they were not made by a four-year-old or a victim of the Great Kitchen Catastrophe of ’73. One year, a mother was overwhelmed with all the things she had to do to get ready for a Christmas party. With a list a mile long and not much time to complete it, she decided that she’d try a newfangled thing called delegation. So she turned to her husband and son…. Since the husband and son loved Christmas cookies—especially the eating part—this was a good thing. But as they gathered the supplies, conversation shifted to how unfair it was that every year, Mom made these cookies for guests and they never got to eat any of them. And so they concocted a diabolical scheme. 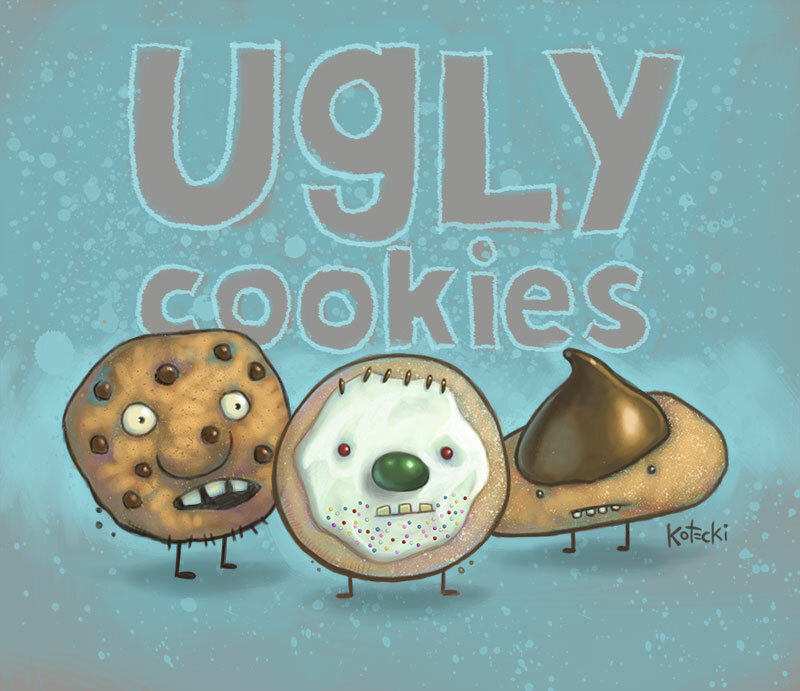 Rather than making more cookies, they decided to make them as disgusting looking as possible so no one else would want to eat them. 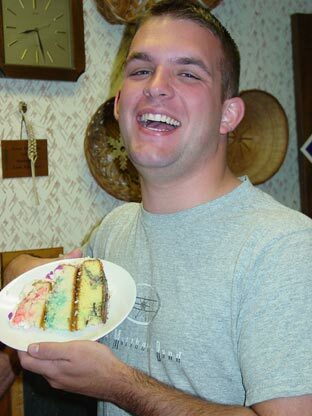 Black, brown and army green frosting took center stage. Normal Christmas cookie cutters were abandoned for shapes like cows, race cars, and hands. Not mittens, hands. 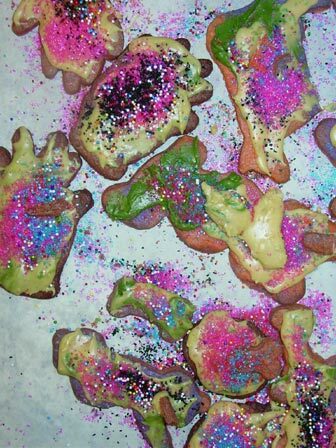 When Mom returned home and saw the finished batch of ugly cookies, she was horrified. But it was too late to make new ones. So she positioned herself at the front door as guests arrived, and made sure that she told every visitor, “I did NOT make the cookies!” When people heard the story, they laughed. And when they saw them, they laughed harder. Eventually, one brave soul decided to try one (perhaps she had too much egg nog? ), and discovered that they were, in fact, delicious. So the original plan of the husband and son failed. But they were not deterred. They resolved to try harder next year. Eventually, they branched out into cakes. The guys broke the rule of what Christmas cookies (or a graduation cake, for that matter) is supposed to look like. And they created a tradition that has lasted for twenty years. Their goal, year after year, is to make the ugliest Christmas cookies around. And these pictures? They were sent to me by the mom. She’s proud of the tradition now. People look forward to it. 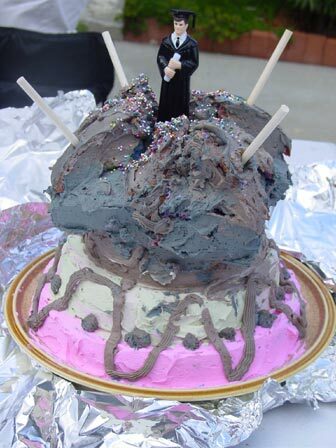 In fact, her mom—the grandma—eventually requested an ugly birthday cake of her own. What sorts of things do you do the exact same way every Christmas because you’ve ALWAYS done them that way? What if you changed things up this year? I’m not talking about the sacred, untouchable family traditions (although maybe I am). But what about the things you do automatically, without much thought and without any real meaning? 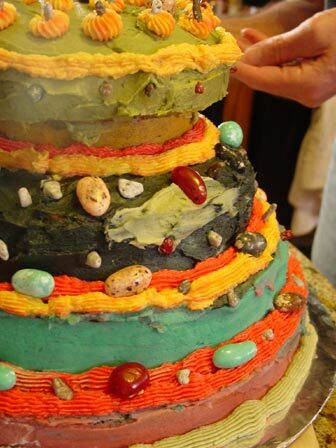 After all, forgoing the stress that can come from trying to create a confection that might make Martha Stewart weep tears of joy is not nearly as fun as concocting something that would have her wailing and gnashing her teeth. To take it a step further, what other things do you do every year, every month, every week, every day—at work or at home—because you’ve always done them that way? What opportunities could you uncover, what problems might you solve, what new memories might you create if you took a different tack? Going ugly can have some beautiful results.